May 1st marked the two month mark since I embarked on the Shaklee 180™ blogger program and I can't believe that this much time has already passed. Was it only two short months ago that I was wearing a larger size clothes and feeling utterly in despair over my lack of willpower and the helplessness that washed over me when I tried to convince myself that I could achieve any sort of weight loss on my own? Fortunately, there have now been three Shaklee 180™ Turnaround™ Kits that have shown up at my front door and, as I pop the tops on my new set of smoothee mixes and meal bars, I find myself just as excited about them as I was on day 1. Once again, my friends, here I am... using not quite as many hand gestures as last month but still too many facial expressions, giving you those answers myself. Please ignore my uncombed hair and just appreciate that at least I showered for you. 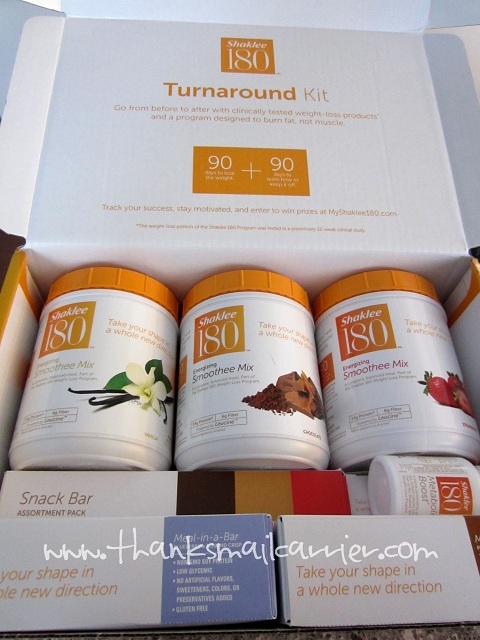 I'm saying goodbye to my Before and am ready to say hello to my After with Shaklee 180™. If you'd like to find out more about the program, connect with them on their website, Facebook, Twitter and YouTube. You can also find out more about all of Shaklee's incredible products for healthy nutrition, home and beauty by connecting with Shaklee Corporation on Facebook, Twitter and Pinterest. i love following weight loss! keep up the great work! Good for you! Makes you feel better, too. Congratulations on your success. It must feel fantastic. Wow...I admire your motivation and determination. Great job.